That’s the date in the top right hand corner of page 273 of the first volume of my songwriting notebooks. There are hearts to be won and smiles to unfold. I made pretty good progress with the songs/stories and hearts/smiles verses, but (according to pages 270 and 271) I seem to have gotten bogged down in the “lessons” half of the third verse. I also couldn’t come up with a convincing “torch” half of the fourth verse. Somewhere in the now-forgotten ether between pages 272 and 273 – including multiple pages in each of two travel notebooks, the smallest of which I still keep in my briefcase at work – “lessons to be taught” became “roads to be walked down.” “There’s a torch to be passed and a dream to carry on” was upgraded to “There are dreams to be shared and secrets still to be found.” The corresponding parts of the bridges/roads and dreams/secrets verses somehow manifested themselves in that gap as well. Since that long ago day in 1993, I have sung that song… well, I really cannot begin to tell you how many times. I’ve sung it in bars, restaurants, coffee shops, concert halls (including The Music Hall in Portsmouth, NH), assembly halls, churches, chapels, meeting rooms, libraries, parks, parking lots, backyards, front yards, courtyards and porches. I recorded “There Are (Songs To Be Sung)” at Fishtraks Recording Studios in Portsmouth, NH, in late-Fall, 1994. Joining me on the chorus were my friends, The Amity Singers, a gone-but-not-forgotten vocal group from Dover, NH, that I used to play guitar for. 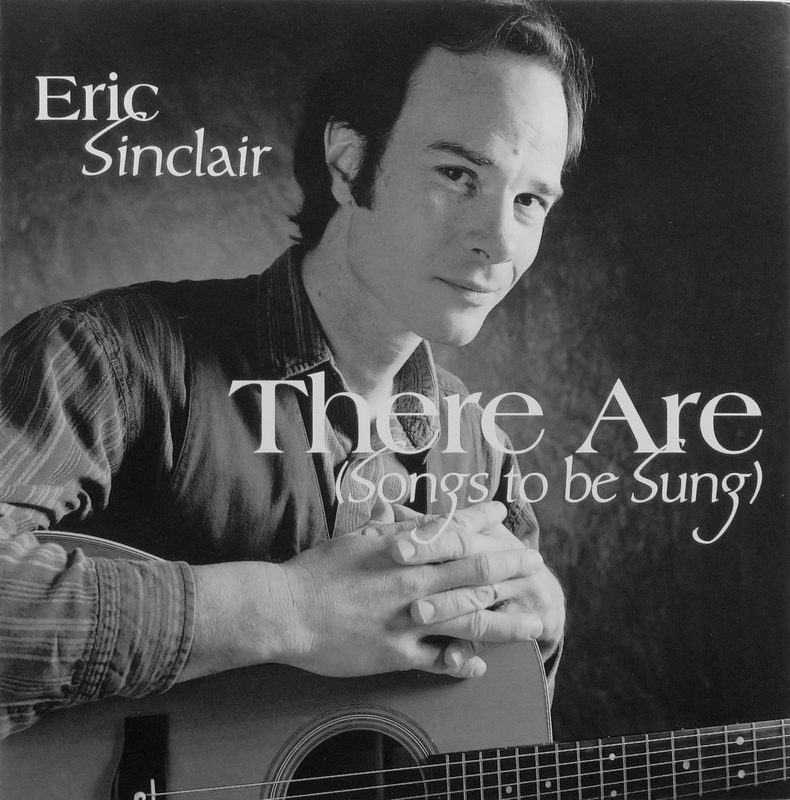 “There Are (Songs To Be Sung)” became the opening track and title song of my first CD album, released in May, 1995. I have embedded a link to that recording of “There Are (Songs To Be Sung)” twice here on sixstr stories: first in a piece entitled Many Thanks, Again posted on August 14, 2010 and then in the Theme Music & About section. It’s time to give this song a post of its own. Give a listen and sing along! JTLYK: There Are (Songs To Be Sung) was recorded and mixed by Jim Tierney and mastered by Jeff Landrock. The cover photo was taken by Frank Clarkson and the graphic design done by Kathryn deA. Klem. This entry was posted in EFS Music, Posts with Audio and tagged Fishtraks Studios, Frank Clarkson, Jeff Landrock, Jim Tierney, Kathryn Klem, The Amity Singers, There Are (Songs To Be Sung). Bookmark the permalink. Love the songs on this CD and enjoyed reading the back story on the evolving of the lyrics. The words, the messages within, the music…all so real and relatable and just so much joy to sing along with. Thanks for sharing your heartfelt talents!